Do you ever have the feeling that your ideal customers are all meeting in some secret location, and that you haven’t been invited? Well, you’re not exactly wrong. 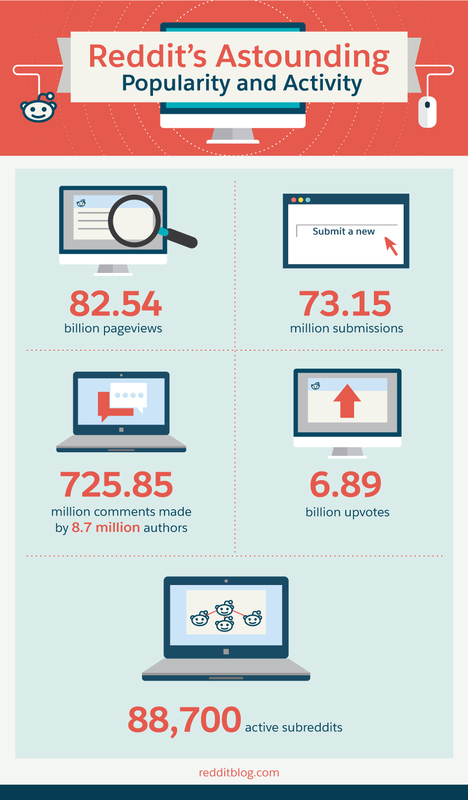 In 2015, Reddit received 82.54 billion pageviews. People visit Reddit to read, comment, and socialize, and they cover just about every topic under the sun. The site and its users are somewhat intimidating at first, but Reddit is a vibrant community full of open, (sometimes painfully) honest, oddball dialogue. Your target customers are here pouring their hearts out, so it’s time that you to take advantage of this gold mine of customer research. Okay, So What Exactly Is Reddit? This short video gives you a quick tour of Reddit, summing up the site as “the gateway to everything interesting going on in the world.” At its core, Reddit is a place for people to gather, share information, and then endlessly discuss and dissect that information in every possible way. Think of it as the Wild West of news and commentary, an anything-goes zone where you are just as likely to have a fascinating conversation about episode three of Firefly as you are to spend six hours arguing over the best sandwich meat. Any member can start a thread on any topic, such as “The color of my dog's nails correlate with the color of his toes,” an actual trending thread that has over 450 comments. Within each thread, users comment on the topic or, more typically, go completely off topic. Threads on a similar topic are bundled into larger categories called subreddits. Popular subreddits include politics, world news, and gaming. Does this sound like a smorgasbord of randomness? That’s kind of the point. But there is a method to the madness. The upvote/downvote is what turns Reddit into the ultimate meritocracy. If users like your thread, they can vote it up, which helps your thread rise a little higher in the rankings. If the upvote is the equivalent to adding a little helium to your thread, then a downvote is like tying a lead weight to it. A bad thread will quickly get dragged down and disappear forever into the downvote graveyard. Users can also upvote and downvote comments within a thread, which helps quash unhelpful or pointless comments and brings the best (or at least the most interesting) to the top. Why Use Reddit for Customer Research? These insights can help you make new and interesting discoveries about your customer profiles. Once you learn the ropes—which is a critically important step—you can even solicit direct feedback from the Reddit community by asking specific questions. In this way, Reddit can act like your very own focus group. It is important to note that, like all social media networks, Reddit does skew to specific demographics. According to Ignite Social Media, Reddit attracts an audience that skews significantly male in the 24 to 44 age bracket. Its users hail mostly from the United States and Canada and tend to have at least some college education. That doesn’t mean that you won’t find anyone outside of this demographic on Reddit. However, the young, educated, acerbic males who dominate the site mean that topics such as gaming, technology, comics, sports, and politics get a lot of love. 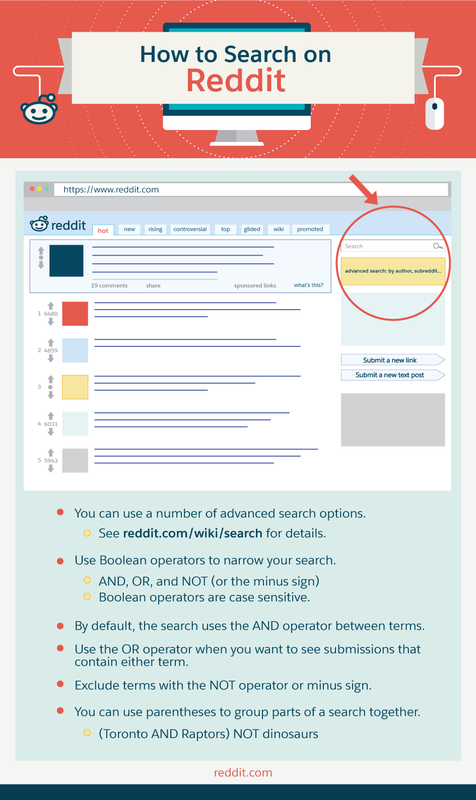 The first and easiest way to start panning for customer-research gold on Reddit is, simply, to use its search feature. Are you considering making an interactive game for young children? Try the /r/Parenting subreddit to find thousands of conversations between parents. A few well-considered keywords can help you refine your search. When you find a relevant thread, click on it to scroll through and absorb the conversation. If your company or product is already well known, then search for names and terms related to your business. The discussions may bounce all over the place or be a little hard to swallow, but that may be exactly what you need to improve your product, customer service, or brand. For example, a quick search for “Fitbit” reveals over 7,000 posts, as well as a Fitbit subreddit that has been running for four years and contains 21,538 subscribers. 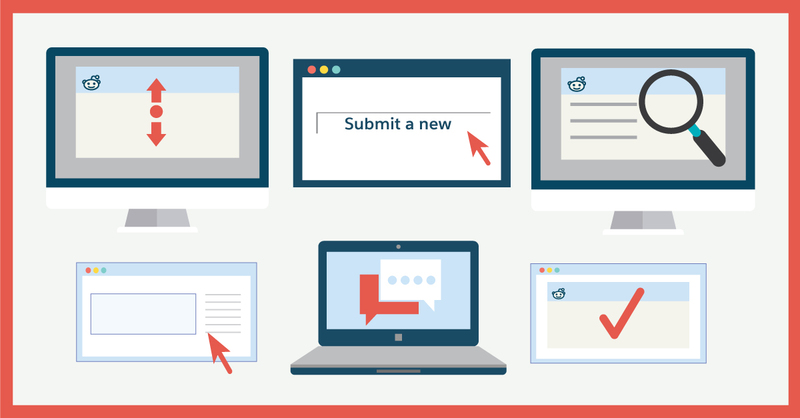 Don’t just spy on yourself: Search for threads and comments on your competition, too. Have you found some great threads or subreddits you want to follow? Just click the “Front Page” button whenever you find a thread you like to add it to your curated front page. It’s a good idea to spend some time as an observer on Reddit to get comfortable with the local “reddiquette.” Redditors can be merciless when a newbie makes a faux pas. Eventually you’ll want to come out of the shadows, create a profile (this will allow you to accumulate karma points when your comments are upvoted or downvoted), and join the conversation. In other words, you can be a redditor who happens to also be a marketer, but you can’t be a marketer on Reddit. If redditors even get a whiff of self-promotion, you’re bound to get down-voted into permanent anonymity, and probably heaped with loads of mockery along the way. You may even get “ghosted,” which means no one will be able to see your posts. If you are feeling brave, consider starting your own thread within a subreddit, or possibly even creating your own subreddit. Beginning your own thread will allow you to shape the conversation you want to have and attract a highly tailored community. When this goes right, you can reap invaluable feedback from your target market. Again, beware: If you come off as an advertisement, instead of someone who earnestly wants to start a conversation, you’ll hear crickets on your thread, or worse, the trolls could come out to play. Great thread headlines win the day on Reddit. You’ll be competing for eyeballs with the likes of “A blown dried cow” and “Fresh baked lemon macarons made with tear of Beyonce.” (Both are actual trending threads.) Be on top of your game! You can’t force redditors to love you, but you can force them to see you. Reddit lets you pay to push your thread to the top of the site’s home page or to the top of targeted subreddits. There is one final way to discover a rich vein of market research on Reddit. The site hosts a wildly popular feature called, “I Am A … Ask Me Anything,” known as IAMA. Anyone can offer themselves up to the crowd for a live IAMA, and plenty of people have, from U.S. President Barack Obama to Bill Gates, Roger Federer, and Tyrion from Game of Thrones. The key to hosting an IAMA is to position yourself as someone interesting. No one cares what Joe Smith is up to, but if Joe Smith is a designer on the latest installment of HALO, you can bet he’ll get lots of questions. Hosting an IAMA can be a great way to assess interest in an idea, hear pressing questions from your audience, get direct user feedback, and generally engage with your target market. Redditors expect you to be honest in your IAMA, which means answering as many questions as you can, especially the ones that get the most upvotes. Don’t be surprised if some of these questions are odd, uncomfortable, or tough. While you don’t have to answer every question, you’ll invite mockery if you only respond to the softballs. Can Reddit be a little intimidating for marketers? Yes. Redditors certainly don’t handle anyone with kid gloves, but that’s no reason to stay away. With a little patience and work, you can quickly transform yourself into a stellar redditor and discover that hanging out on Reddit can be immensely interesting, engaging, and fun. The best way to truly understand the weird beauty and power of Reddit is to go to the site and start reading threads. As long as you keep your focus clear, you’ll be able to find your target audience with little effort. Though the things they have to say may at times be roughshod and crude, they could be invaluable for your company or product. There’s customer research gold in the Reddit hills! Now go find it.